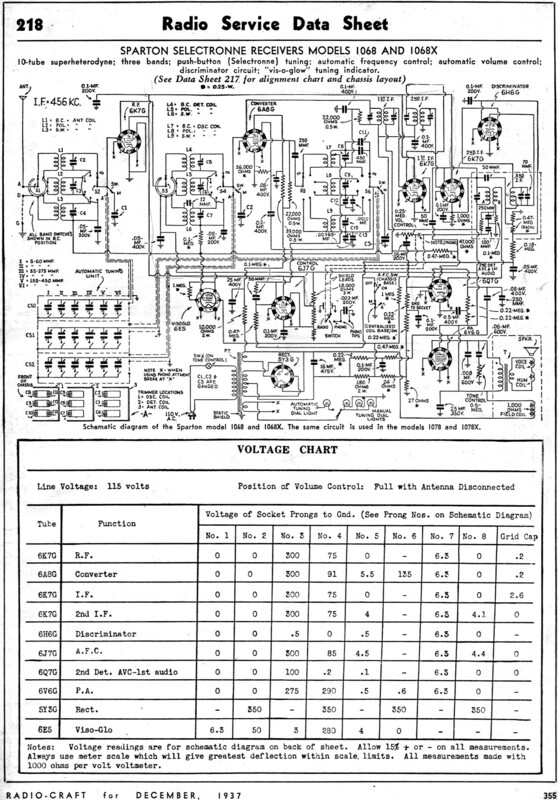 Well shazam, I found a radio service datasheet that had been missed. This one for the Sparton Selectronne Model 1068 brings the grand total to 220 that have been scanned and posted here on RF Cafe. 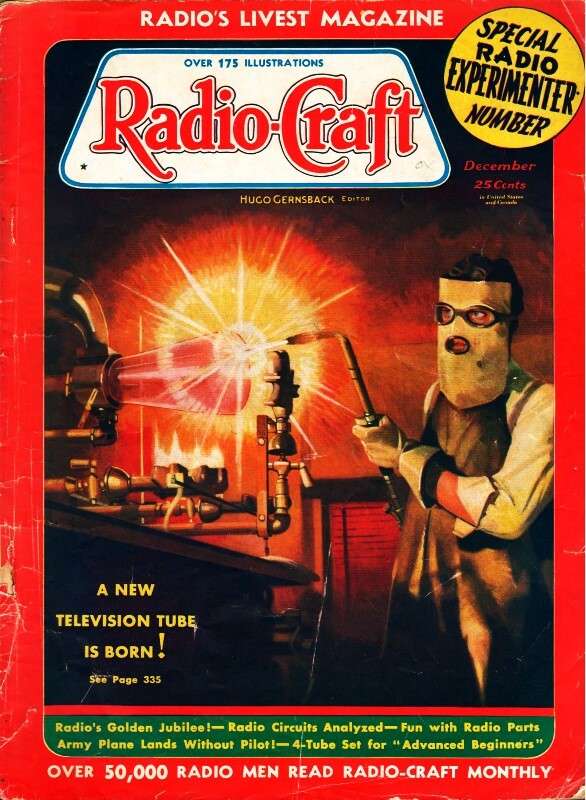 They appeared in various formats in Radio−Craft, Radio News, and Radio & Television News magazines. 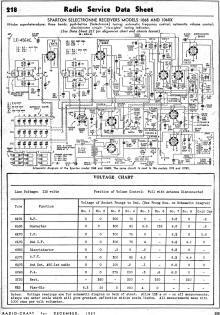 It was in the 1930s that pushbutton tuning appeared in most radio sets, both tabletop and floor-sitting console models. Those mechanical pushbutton tuner mechanisms were pretty impressive. The Selectronne also sported a popular visual tuning indicator called the Viso-Glo tube. It was not a true cat's eye in that the relative brightness of the tube's glow changed with the received station signal strength, rather than the width of the illuminated area changing. 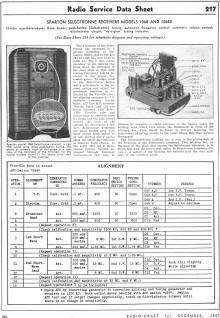 Sparton model 1068 Selectronne receiver, a new 1938 model using latest push-button tuning. 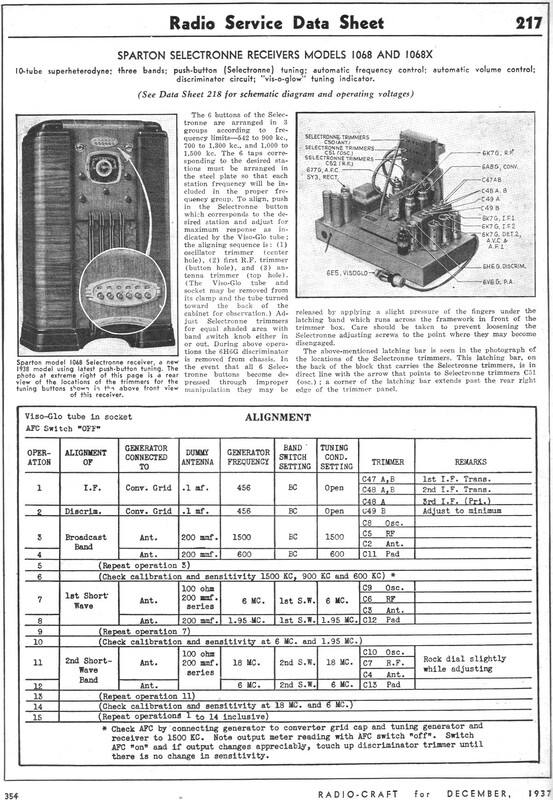 The photo at extreme right of this page is a rear view of the locations of the trimmers for the tuning buttons shown in the above front view of this receiver. The 6 buttons of the Selectronne are arranged in 3 groups according to frequency limits - 542 to 900 kc., 700 to 1,300 kc., and 1,000 to 1,500 kc. The 6 taps corresponding to the desired stations must be arranged in the steel plate so that each station frequency will be included in the proper frequency group. To align, push in the Selectronne button which corresponds to the desired station and adjust for maximum response as indicated by the Viso-Glo tube; the aligning sequence is: (1) oscillator trimmer (center hole), (2) first R.F. trimmer ,(button hole), and (3) antenna trimmer (top hole). (The Viso-Glo tube and socket may be removed from its clamp and the tube turned toward the back of the cabinet for observation.) Adjust Selectronne trimmers for equal shaded area with band switch knob either in or out. During above operations the 6H6G discriminator is removed from chassis. In the event that all 6 Selectronne buttons become depressed through improper manipulation they may be released by applying a slight pressure of the fingers under the latching band which runs across the framework in front of the trimmer box. Care should be taken to prevent loosening the Selectronne adjusting screws to the point where they may become disengaged. The above-mentioned latching bar is seen in the photograph of the locations of the Selectronne trimmers. This latching bar, on the hack of the block that carries the Selectronne trimmers, is in direct line with the arrow that points to Selectronne trimmers C51 (osc. ); a corner of the latching bar extends past the rear right edge of the trimmer panel.